The co-chair of Leave.EU has thanked the Washington, DC-based public affairs firm it says played a vital role in its campaigns, and bested what he termed "establishment pollsters". 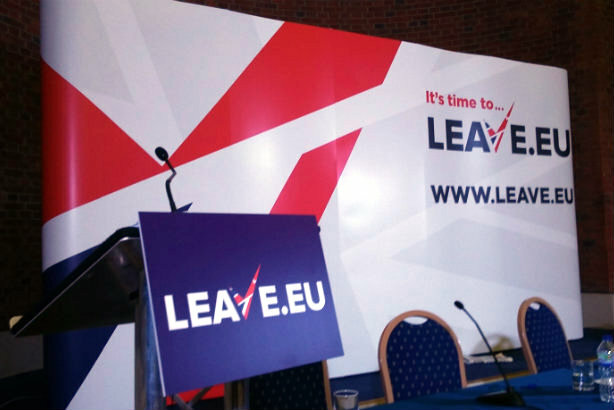 Leave.EU was launched last year by UKIP-supporting businessman Arron Banks. Goddard Gunster, a referendum specialist based in the US who has been on the winning side of more than 30 referenda, was engaged by the campaign early on. A Goddard Gunster employee told PRWeek that the firm had some of its staff embedded in the Leave.EU office in London, and that 10 staff in the US were assigned to the account, while CEO Gerry Gunster regularly travelled to the UK. The agency has two offices in the US, plus London, Switzerland and Egypt bases. A statement from Banks released yesterday noted that Leave.EU had attained a larger social media following than the two other main Brexit groups, the official campaign Vote Leave and Grassroots Out. "We were able to achieve this by having a strong focus on audience engagement, with a broad range of content designed to appeal to different types of voters," he said. "Content included eye-catching graphics, topical articles, interview clips from the broadcast media and slickly edited videos. With our press team monitoring the news cycle around the clock to gauge public reaction and identify trends, we were able to update this material in real-time and improve its appeal, driving engagement further, building crowds and enabling large-scale support," he said. Leave.EU was very active on social media, but also caused controversy when it published a tweet suggesting that the UK needed to leave the EU or risk an Orlando-style terror attack. Banks said that the social media activity also helped to create "an extremely useful database that Goddard Gunster was able to mine, allowing it to conduct in-depth demographic polling and recommend precision target-messaging". He went on to say: "Our ground campaign could be focused on those areas where the 'leave' movement had to make its greatest inroads to tip Brexit over the line. For example, we were able to direct or redirect our nationwide battle bus tour to those areas identified as holding large numbers of 'persuadables' – and those persuadables who were most likely to be receptive to the Leave.EU message as opposed to the rather staid, impersonal messaging of other campaign groups." He also paid tribute to the firm's correct prediction of the end result, saying: "Goddard Gunster managed a near-exact referendum prediction of 52 to 48 in favour of Leave, while establishment pollsters got it wrong yet again." Leave.EU also later took on US data and voter messaging firm Cambridge Analytica, but made no mention of it in yesterday's press statement.